“Sharjah Art Foundation’s latest show takes this moment of interlocking South East Asian-Middle Eastern history as its jumping off point. A Tripoli Agreement inaugurates a new partnership between the foundation and the Sharjah-based airline Air Arabia that consists of a curatorial residency and exhibition roughly pitched along the lines of travel and networks. 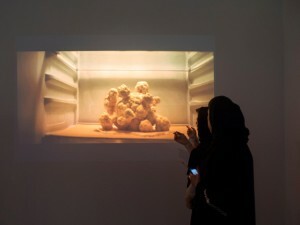 This entry was posted in Prajakta Potnis and tagged A Tripoli Agreement, Air Arabia, Prajakta Potnis, Sharjah Art Foundation, The Kitchen Debate. Bookmark the permalink.